Sustainability Advertising: Tonight is the Night! Doors open at 8. First band starts at 9:45. Tickets are $10 at the door. 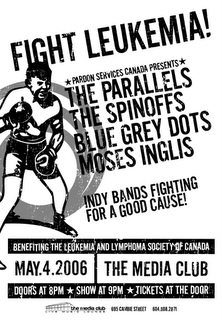 Come on out tonight and help us Fight Leukemia at The Media Club at 695 Cambie. If you can't make it, don't be shy to make a donation online.